Having companion animals and flowers together in a house can make for a happy life. But, choosing animal friends and flowers that can coexist is essential to bring about all of this happiness. If you have cats or dogs who live with you, and you want to have a bit of floral beauty in your home, the following is a guide to which flowers you should choose and which should stay at the florist. 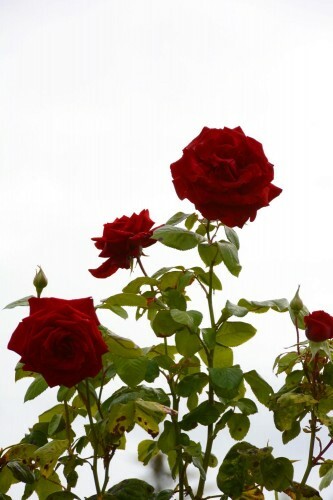 Roses petals are fine to have around furry friends, but watch out for thorns on stems. Petals and stems from daises, orchids, bromeliads, and African violets are safe for fuzzy creatures. Animal-friendly flowers and plants like alyssum, bachelor’s buttons, begonia, celosia, snapdragon, Peruvian lily, and Brazilian lily are also good choices. Your cat or dog companion may get a little bit of an upset tummy if he, or she, were to eat Christmas cactus, but it would only be a mild case of the yucks that could easily be recovered from. Be careful with tulips around cats and dogs. They’re toxic and they can make your companion animal extremely sick, or cause death in some instances. Other plants and flowers that are toxic to cats and dogs include azalea, bird of paradise, begonia, aloe, amaryllis, and baby’s breath. Easter lilies and stargazer lilies, and other members of the Lilium genus, can cause serious kidney problems if consumed by cats. When seeking out flowers to keep in your garden or in your home, or if giving flowers to someone, always consider if the blooms you’re thinking about could be eaten by an animal. If so, avoid those we’ve mentioned that are toxic. Animals’ lives are too precious to take any chances with. Flowers, just like our companion animals, should be a source of joy and pleasure in our life. So, it’s best to take every precaution possible to preserve the goodness that they offer. Animals can be curious beyond what we might imagine, so remember to play it safe and opt for flowers you know will not cause harm. Having companion animals and flowers together in a house can make for a happy life. But, choosing animal friends and flowers that can coexist is essential to bring about all of this happiness.If you have cats or dogs who live with you, and you want to have a bit of floral beauty in your home, the following is a guide to which flowers you should choose and which should stay at the florist.